Sarah Nader- snader@shawmedia.com Cary-Grove's Wyatt Mascarella (left) safely slides back to second while Crystal Lake Central's Blake Gleason waits for the ball during the third inning of Saturday's game in Cary April 18, 2015. Central was defeated by Cary, 5-4. 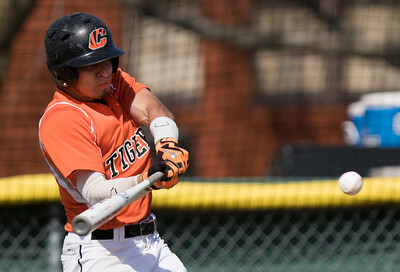 Sarah Nader- snader@shawmedia.com Crystal Lake Central's Blake Gleason watches a pass during the third inning of Saturday's game against Cary-Grove in Cary April 18, 2015. Central was defeated by Cary, 5-4. Sarah Nader- snader@shawmedia.com Cary-Grove's Tyler Pennington slids home to tie up the score during the fifth inning of Saturday's game against Crystal Lake Central April 18, 2015. Cary defeated Central, 5-4. Sarah Nader- snader@shawmedia.com Crystal Lake Central's Kyler Bacak makes contact with the ball during Saturday's game against Cary-Grove in Cary April 18, 2015. Central was defeated by Cary, 5-4. 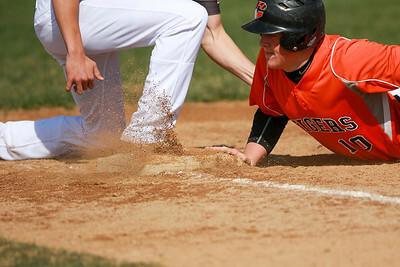 Sarah Nader- snader@shawmedia.com Crystal Lake Central's Ryan Hallman safely slides back to first during the second inning at Saturday's game against Cary-Grove in Cary April 18, 2015. Central was defeated by Cary, 5-4. Sarah Nader- snader@shawmedia.com Crystal Lake Central's Freddie Birr pitches during Saturday's game against Cary-Grove in Cary April 18, 2015. Central was defeated by Cary, 5-4. 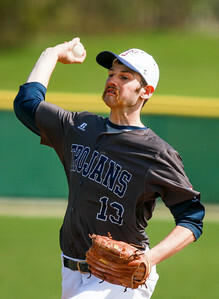 Sarah Nader- snader@shawmedia.com Cary-Grove's Nicholas Franz pitches during Saturday's game against Crystal Lake Central in Cary April 18, 2015. Central was defeated by Cary, 5-4. 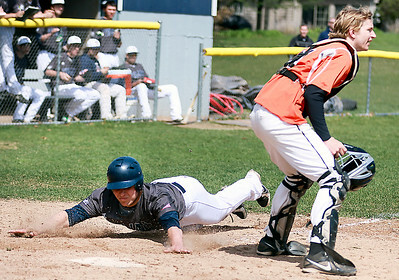 Cary-Grove's Wyatt Mascarella (left) safely slides back to second while Crystal Lake Central's Blake Gleason waits for the ball during the third inning of Saturday's game in Cary April 18, 2015. Central was defeated by Cary, 5-4.